The lack of posts lately is because we are visiting family in Asia right now. I brought my old laptop with the plan to sort through photos and blogging, but the laptop is so old that it won’t install my photo catalogue software. So all my photos in RAW format are stuck on the memory cards. Sigh. Anyway, we are having a fantastic time being spoiled rotten and stuffed like little piggies by everyone. I will have to post photos after we go back home. Here’s one of my favorite things about the public bathrooms here–the baby holder. 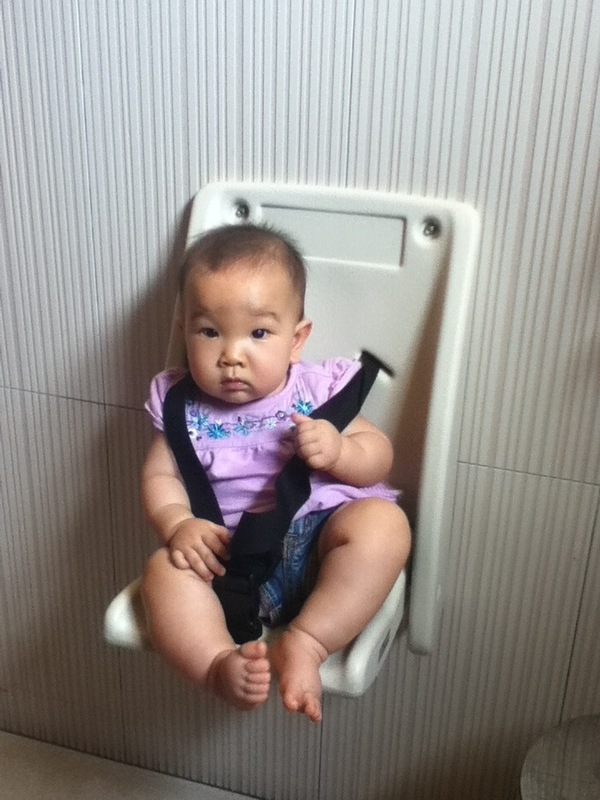 This entry was posted in Travel and tagged accessory, Asia, baby, bathroom, travel by angelasaito. Bookmark the permalink.